Christmas is such a wonderful time of the year. We get all caught up in the hustle and bustle of this time of year. What we seem to forget is the reason why we celebrate. We celebrate because Jesus was born. Our Lord and Savior was born. He came to this earth, as a child, for you and me. I made this very simple acrostic using the word CHRISTMAS. It’s just a simple message to remind us why we celebrate during this time. There is also a blank acrostic with the word CHRISTMAS that you can have your children fill out. 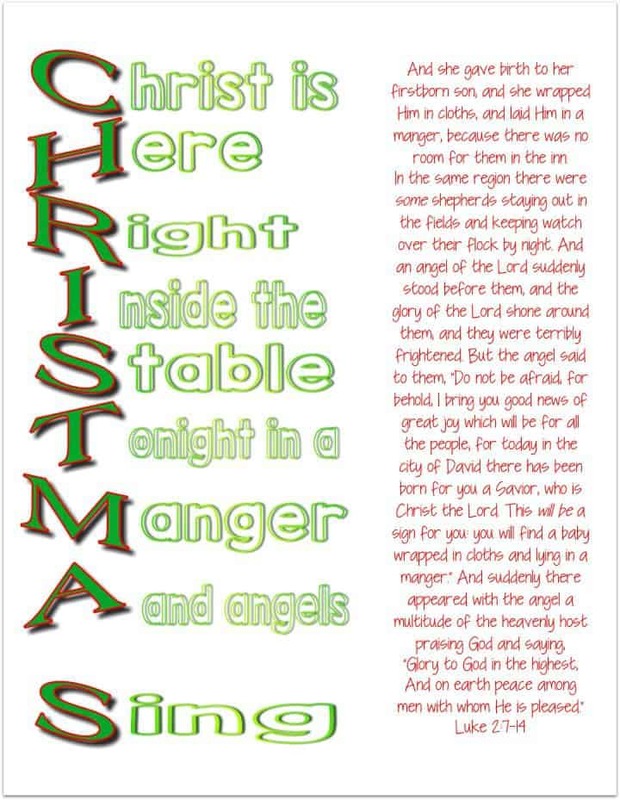 Let them use their imagination to use the letters of the word to tell the actual reason….JESUS’ BIRTH! Tony Kummer (Editor) reviewed & updated this page on : December 7, 2015 at 4:10 pm. All our content is peer reviewed by our readers, simply leave a comment on any post suggest an update.